Welcome to our first installment in what is going to be a series of troubleshooting articles dedicated to the iPhone 6 Plus. While this model is undoubtedly one of the best released by Apple so far this doesn’t mean that it is free from any problems. In this series we will tackle some of the most common issues our readers are facing with their phone and provide solutions that may help in the resolution. If you own an iPhone 6 Plus or any other iPhone model for that matter feel free to send us an email at [email protected] regarding the issue you are facing with your device. We will be more than happy to assist you with any concern that you may have. This is a free service we are offering with no strings attached. We do however ask that when you send us an email try to be as detailed as possible so that an accurate assessment can be made and the correct solution can be provided. Problem: My new IPhone 6 plus that cost me over $400 does not sync with my car Bluetooth. It syncs the Phone but no Music Media device, spoke to Apple Support they say it is an issue with car manufacture, Cadillac said it is Apple since other phones and devices work fine. They are correct I had an Android phone it worked fine I have a ITouch and it works fine, so Apple is not responding to this issue and yet we spent so much money with them. Solution: One of the most common issues surrounding this particular model is its ability to connect to another device using Bluetooth, especially when connecting to their car. Since your phone is affected by this issue the first thing that you should do is to get the latest software update if you haven’t done so yet. Most owners of this phone who upgraded to iOS 8.1 claim that the issue disappears. Another solid fix that resolves this issue is to reset all the settings of your phone. You will lose all your saved settings and will have to enter them again but this is just a small inconvenience. Just go to Settings > General > Reset > Reset All Settings. Problem: I’ve seen plenty of similar problems with itunes and the new iphone 6 plus /iOS 8. I have not seen anything related to my direct problem. Problem has been inability of itunes to even connect to my iPhone 6 plus, let alone sync. iTunes just hangs like it’s doing something. An hour later I just give up and force quit iTunes. I tried this when I first got the iPhone with iOS 8.0 with my Mac running Mavericks and the then latest version of iTunes 11. I now have the latest iOS 8.1 and Yosemite 10.10 and iTunes 12 but still iTunes just hangs. I’m fortunate that iCloud worked from the beginning. I was able to get my contacts and such but all my media is on my Mac. And trying to sync any new videos is out of the question until I get the iTunes sync going. Any one with a clue? TIA. Solution: The first thing that you need to do is to verify if the problem is with the cable that you are using to connect your phone to your computer. Try replacing it with a new one. You should also try connecting the cable to a different port in your computer. Another factor to consider is the software of your phone and your Mac. Reboot both devices then check for any new updates. Once both devices are running on the latest software try checking if you can sync your phone using iTunes. Problem: Since restoring from my old iPhone 5S backup onto my 6 Plus 128GB (AT&T) running iOS 8.0, my 6 Plus is laggy (animations are very slow and stutter), freezy (after hitting “done” it often freezes for a good five seconds before registering the click), buggy (the keyboard sometimes doesn’t appear at all, the “halos” around the folders on the home screen sometimes appear and sometimes don’t, seems totally arbitrary), and crashy (whenever doing certain tasks like fast app switching, trying to change wallpaper, and others, the phone crashes, turns off the radios, then shows the Apple screen before rebooting). The crashing is happening once every five to ten minutes, making the phone VERY FRUSTRATING TO USE. All of these things scream SOFTWARE to me, but what do I know…is anyone else experiencing these issues on the 6 Plus? Should I just be waiting for an OS update, or did I just get a lemon phone? Solution: Since your phone software is still iOS 8.0 you should try to get the latest update which is iOS 8.1. This might help resolve the lagging issue that you are facing with your phone. If your phone still lags despite running on the latest software version then the next step that you should do is to setting up your phone as a new device then manually adding your apps. Take note that this will delete all data on your phone so be sure to create a backup. Problem: Hello, I bought the new iPhone 6 Plus a few hours ago. Now, after 4 hours charging, I wanted to boot the Phone but I always get a black screen. While the iPhone is charging there is the “battery empty” on the screen. I tried to reset the iPhone with the DFU-Mode but this don’t want to work, too. Any idea what I should do? Solution: The first thing you have to do in cases like this is to do a hard reset by holding the power and home/circle buttons for 10 seconds. If the above step does not work then you will need to troubleshoot further. This time you need a computer with the latest version of iTunes installed. Connect your phone to the computer using a USB cable. Make sure the USB cable is known to work and that the iTunes program is running. Follow the steps below. Your phone should have a white screen by now and iTunes will prompt you that your phone is in recovery mode. You should now be able to restore your phone. In case the above step fails then you should have your phone 6 replaced from the store you purchased it. Problem: When opening sms or iMessage messages, screen will regularly pause for 10-15 seconds on a blank white screen to reload content, or if a lock screen shortcut takes me directly to the messages app it will freeze with just the last text bubble visible (no previous messages, no keyboard) for 10-15 seconds before loading. Solution: Problems with apps crashing on this model is one of the common complaints of new owners. The best way to handle this issue is to first make sure that the phone is running on the latest software update. Next, make sure that the apps running on the phone are also updated. To make it easier, just enable automatic App Store updates. You should also consider doing a factory reset on your device if the issue still persists. Make sure to back up your data first. Solution: The first thing you should do is to check with your network provider if your account is properly provisioned to make use of cellular data. You should also check with them if your phone is using the correct APN and data settings. Make sure that your mobile data connection is turned on. Tap Cellular Data to turn on (if it is off). Tap the Airplane Mode icon to enable and tap again to disable. Problem: I have checked the portrait orientation lock and it is off. My wife’s 6 plus rotates aok on the home screen. Any thought on this? Solution: Screen rotation only works in Standard View and not in Zoom View. Go to settings / display & brightness / view / change to standard. This will allow rotation on the home screen. Problem: My iPhone 6 Plus is now stuck in restore mode, because I tried to update to iOS 8.1 and itunes wont restore and update it, it just gives me error 53 every time. My iPhone has been useless like 2 days now. What is error 53 and what should I do? Solution: A quick check on the Apple website will show that this error code is not listed however the phone indeed shows this error code. The vest way to proceed is to follow the 6 troubleshooting steps below. Update iTunes – Get the latest iTunes software installed in your computer. Check your computer’s security software – Sometimes the security software installed in your PC causes problems with its connection with your phone. You may have to reconfigure or temporarily disable the security software of your computer. Problem: My iPhone 6plus is stuck in headphone mode after removing the earpiece. I can fix it by rebooting the phone but this is cumbersome to say the least! Solution: While this isn’t a major issue it is still quite annoying when it happens. Follow the steps below to resolve this issue. If you are using a case for your phone then remove it as this may be causing the issue. There might be dirt inside the headphone jack. Use compressed air or blow on it to remove the dirt. Connect & disconnect the headphones a few times. This usually helps resolve the issue. Problem: When I’m using a certain app my iPhone 6 plus crashes a blue screen appears and then reboots. Is there a way to fix this? Solution: If you haven’t updated the software of your phone yet then I suggest getting iOS 8.1. If the update does not solve the issue then make sure to back up your data first before proceeding to the next step. Problem: Hi, just got my 6 plus with 128GB three days ago. I have heard people said over twitter or reviews written by tech websites that the battery in 6 plus could last for 2 days with medium usage. But so far as I can see, it couldn’t last as long as people were saying. I am using iOS 8.1 now. Yesterday I fully charged my phone at 4 PM and about 10 PM, i only got 50% battery left. I didn’t use my phone to watch movies, play games or did any other heavy stuff. Mostly just few phone calls with iMessage and IM apps. I turned off cellular data whenever I have Wi-Fi (Which means most of the time in a day because I got Wi-Fi in my office and home.). I turned off most of the notifications, Bluetooth, locations services of system and background app refresh. Anyone could help? Thanks! 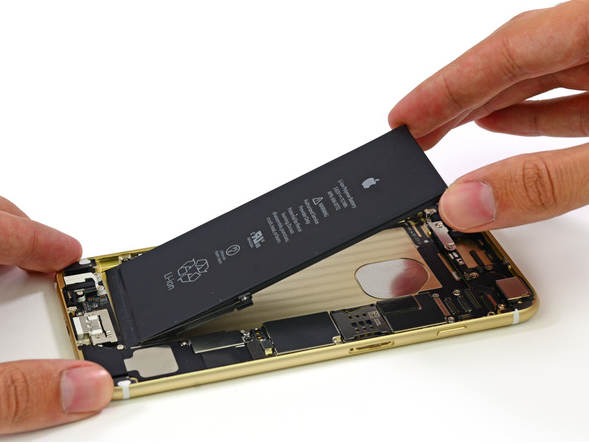 Solution: A lot of people are complaining about the poor battery life on the iPhone 6 Plus. If you have already turned off most of the services that you are not using but the problem still persists then an app may be causing this problem. Go to Settings > General > Usage > Battery Usage and check what app is hogging your battery resource. Once you have identified the app check and see if there are any updates available. If there are no updates then you might want to go ahead and uninstall it. If you need the app then you can try disabling Background App Refresh via Settings > General and Location Services via Settings > Privacy. was using my phone as a personal hotspot, now screen is frozen and will not open or react.